Marilyn grew up in East-New York, Brownsville, in Brooklyn, Harlem, and Bronx New York. Al Sharpton Played a vital role in her life as a mentor, helping to shape who she would become in her later years. Her family later relocated to Connecticut where she was able to discover her purpose and learning why she and her brother endured the tragedy of growing up in an environment stacked against them. As an advocate and counselor, it is essential that we help parents stay involved in what their children are doing. Marilyn’s non-Profit Dolls with a Mission, the program opens up opportunities to keep kids away from violence, drugs, & alcohol, which continue to plague our communities. 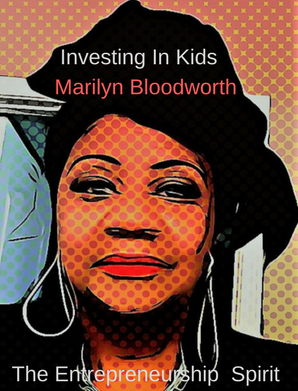 MarilynBloodworth.com is a mission-based program that also gives out resources to help kids start businesses. She encourages and speaks about kids and Entrepreneurship opportunities and resources that are available to help each child become business oriented today. Marilyn continues to raise the spirits of communities through parent involvement by contributing to a program such as this that is working to build confidence and self-esteem in each child that listens to her. Marilyn influence lives through her Doll Academy & Gallery where she teaches kids ages -6-17 how to make cloth dolls on sewing machines donated by individuals who saw the need to support in keeping our kids safe and off the street. The children have the opportunity once their dolls are completed to either keep them or sell them as they hang in the doll gallery for others to see. The proceeds once sold belong to the children. This assists in building pride and facilitates a learning atmosphere to succeed and learn about business opportunities for kids. This is what sets this program apart from all others. 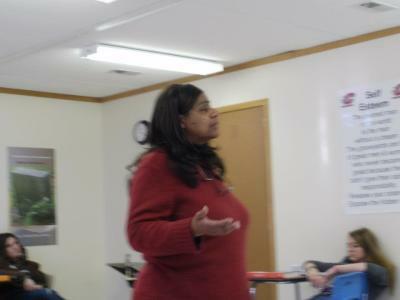 Marilyn Also spends a portion of her time going around to schools, churches, Juvenile detention centers, group homes, where ever there is an open door she is there to impact the lives of our kids to achieve and succeed. You will always find her looking out for the interests of kids and a place to showcase their Business for Kids annual Expo. Marilyn states “I have never heard a child saying to their mother, “Mom when I grow up I want to be a drug addict and sale drugs on the street for a living”. Nor have I ever heard a child say they want to be a prostitute and sell their body on the street for money to earn a living”. When real life shows up it is too late to talk about teaching our children the foundations of life. It is up to us to speak into the lives of children if we are going to save them from those inner voices of discouragement and disillusion. The important thing is to keep our kids focused. Marilyn’s mission is to generate an environment where kids can be inspired to discover and birth out those hidden gifts and talents that lay dormant on the inside of them. Marilyn inspires that inner voice of success to come forth and empower those dreams waiting to burst out. My strategy is to provide a way out of our inner cities, issues and problems through lending a helping hand to inspire and make a difference one kid at a time. I hope parents will join me in formulating this extraordinary journey together as we embrace and impact lives as a community and safe haven for kids. Listening to issues that matter to them. Children in Rural Areas need help too. High quality over the phone and face to face customer service. Trained in researching and correcting customer complaints Worked with manufacturers globally, and placed large company orders. Followed up with assessment and correcting issues with alternative solutions. Supervised Call-Center customer service representatives. Gathered, processed and evaluated employee performance monitoring activity, responding, investigating and resolving questions or complaints from customers, or reps. Implemented and reviewed schedules, made changes when necessary . 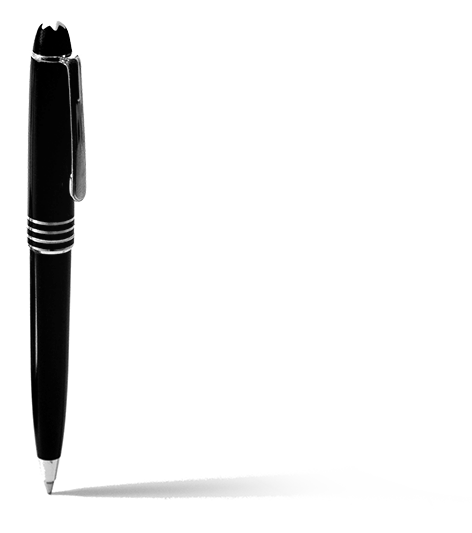 Prepared daily, and monthly distribution reports for bi- weekly attendance report, daily abandonment rate report. How many calls lost within the hour). Managed and scheduled staff shifts, Timing monitored & evaluated team performance. Get Ready To see great opportunities for Youth to attain eminent within themselves and the communities where they reside. Working with young people to start businesses at a young age, to make them become better entrepreneurs for tomorrow. If you have a sewing machine around and not in use, please consider donating it to Dolls with a Mission. We will take good care of it. Helping young people find their passion and going after it. Teaching them to make dolls and discovering hidden talent deep on the inside of them. Finding ways to reinforce issues that are relevant to young people. Building and finding ways to encourage youth into starting businesses at a young age. Sharing resources available to boost conversation and participation. Our organization invests in kids to become the best they can be through resources on learning to create businesses. This happens through unique problem solving that brings about profitable ideas that work. This wonderful lady donated sewing machines to help us with our goal and vision. Thank you. Volunteering your time for future generations,priceless. Destiny awaits us all when we have mentors. When you see kids making something from nothing, is truly boost self-esteem and give our kids hope. Please consider helping us by donating your time or revenue. Never forget to inspire our elders. They help paved the way for our generation. We must do the same. Helping kids with resources to start their own businesses is a great way to change the world. We must learn to reach back and inspire the next generation for greatness. Please consider partnering with us. Thank you. Let's Work Together-Impacting the lives of Kids. Address: Looking for a new location. We are in Need Of a building. If you are interested in donating a building it will be greatly appreciated and the kids would be blessed. So many lives could be changed. Thank you in advance.